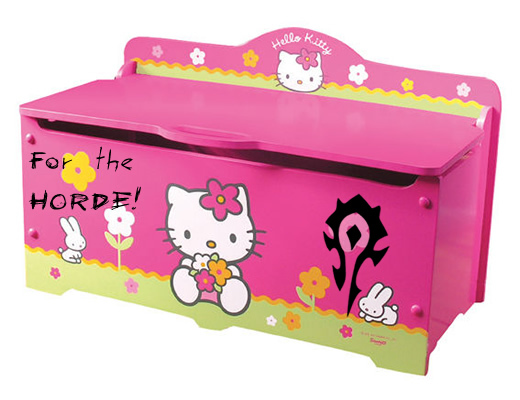 One of the many exciting new features that will be introduced in Warlords of Draenor is the Toybox. The toybox will include items which have some sort of novelty effect, and will function in much the same way as your pet journal. 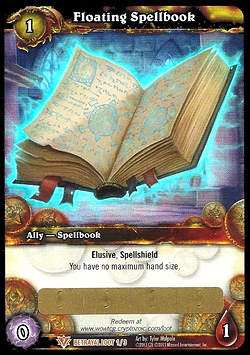 The idea is to free up bag space by putting the items' spells into a book which you'll be able to access across all of your characters. I think we know where this is going and what it will likely mean to loot collectors... Although no formal announcement has been made about whether or not WoW TCG loot items will be included in the Toybox, I think it's pretty safe to say that they will. Blizzard has announced that the Toybox will contain things with fun item effects, which has got to mean that all of the novelty WoW TCG loot items will be in there. Update: All of the loot items on this page will be accessible via the Toy Box tab - with the exception of the Epic Purple Shirt and Tabard of Flame. Provided this is the case, in Warlords there's a darn good chance you'll be able to use things like: Dark Portal Hearthstone, Flag of Ownership, Foam Sword Rack, Grim Campfire, Magical Ogre Idol, Statue Generator, Throwing Starfish, etc...across all of your characters! How awesome would that be..?! If the Carved Ogre Idol makes it into the Toybox, which it should, you can bet that will make a few players happy. With the additions of the pet journal, mount spellbook, and the upcoming Toybox, I think it's safe to assume that a tabard manager of some sort will also be headed to WoW in the not-so-distant-future. It seems to make sense considering their desire to eliminate things that are taking up valuable inventory space, while also making them account-wide so that all of your characters can use them. That would also be a very welcomed addition to the game. I'll keep you updated as more news is leaked about the upcoming Toybox feature. Let's hope that the TCG items will be included! Spectral Tiger is the most sought after loot card ever produced for the WoW TCG, along with being the most valuable. Over 6 years have passed since this item was introduced into the game and it still sells for over $500. Check current prices for the Spectral Tiger on eBay . Pulling one from a pack is not unlike winning big with a lottery scratcher. 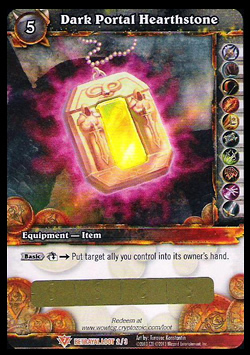 This loot card still fetches a premium price for those who wish to sell it rather than use it, but what a decision that would be, am I right?! Reign of Fire was the last expansion set released for the WoW TCG. Instead of creating new loot for the set, Blizzard and Cryptozoic decided to toss in every single loot card that existed for the TCG! 60 possible loots in all! This lucky guy managed to snag a Spectral Tiger from his box. This guy grabs what looks like the last unopened pack and...BOOM! No items matching the keyword phrase "reign of fire booster" were found. This could be due to the keyword phrase used, or could mean your server is unable to communicate with Ebays RSS2 Server. The Archives set contains an assortment of rare loot, including some premium mounts and pets. This lucky loot hunter yanks a Spectral Tiger. Several minutes into the video this guy finally pulls a Spectral Tiger. His reaction is priceless. These videos show Spectral Tiger pulls from the Magtheridon's Lair TCG Treasure Packs. WoW TCG Dungeon Treasure Packs available on eBay . 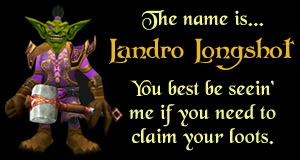 WoW TCG Loot Card mounts are among the rarest and most treasured mounts in World of WarCraft. 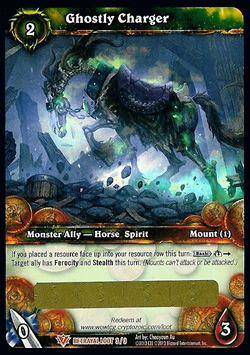 if you want to garner ooohs and aaahs from other players and be the center of attention, then any of the WoW TCG mounts will do the trick. With the exception of a few extremely rare mounts, such as: the very first faction mounts which were patched out in 1.4, the Gladiator mounts, and the AQ40 battle bug, there really aren't any other WoW mounts which are as seldom seen as the WoW TCG mounts. Which WoW TCG Mounts are the most popular? So now that we've established the scarcity of these highly coveted WoW mounts, which of them are the most collected? Despite its premium price, the Swift Spectral Tiger is bound to more characters than any other mount produced by the WoW TCG. The Swift Spectral Tiger is not only one of the most gorgeous mounts available in the game, but it's also been around a long time. Those are likely the 2 main reasons it's positioned at the top of this list. Oddly enough, the rare version of the Spectral Tiger mount comes in just behind its epic sibling. This is a bit strange since it is granted alongside the epic version when a player redeems the loot code for the Spectral Tiger loot card. Apart from the level requirements (level 20 for the rare, and level 40 for the epic...) the only difference between the two is the absence of leg armor on the rare version, as seen in this comparison between the two Spectral Tiger mounts. The first flying mount offered through the WoW TCG comes in 3rd after the Spectral Tiger. Like the Spectral Tiger mounts, the X-51 Nether-Rocket loot card awards players with 2 versions of this super fantastic flying mount. Both mounts travel at the same speed, with the only difference (other than ilvl) being that the X-TREME version is red and the regular version is blue. The Magic Rooster comes in at #4, making it the 3rd most popular ground mount offered through the WoW TCG. While not as majestic as either of the Spectral Tiger mounts, it is arguably the most comical. Strutting around on El Pollo Grande is SURE to get you noticed. Coming in right behind the Magic Rooster is the Big Battle Bear, which is the reward from the Red Bearon loot card. The Big Battle Bear is unusual because it is one of only two bear mounts offered which aren't covered in armor and wearing goggles - the other being the Darkmoon Dancing Bear. Due to its unique model and understated appearance, this mount loot is highly sought after. The TCG is no More, but the Loot Lives On! 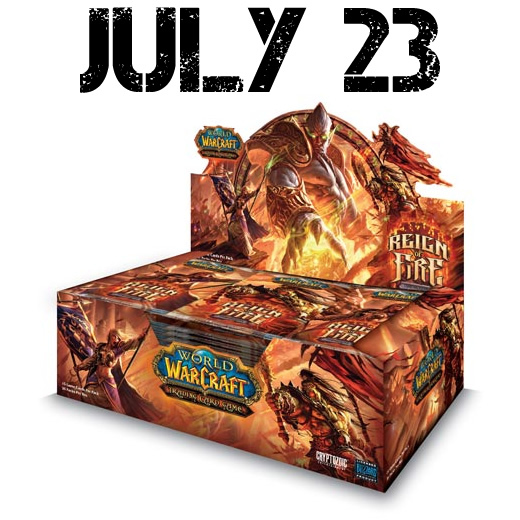 The World of WarCraft Trading Card game is no longer being produced, but the loot items will continue to be redeemable, and it's safe to say that certain loots will likely become more valuable than ever. Unless they decide to introduce randomized loot code rewards in HearthStone, the future of exclusive WoW loot will mainly be limited to the Blizzard store, and events such as BlizzCon. Apart from the Black Market Auction House, it's possible that the WoW TCG loot cards that are floating around right now may be the only way to grab ahold of these loots in the future. Based on the announcements made at this year's BlizzCon, World of WarCraft looks like it's going to be around for some time. It's safe to say that some of these loot cards might actually be a good investment, if only to sell on the auction house at a later date for some serious in-game gold. With the release of Betrayal of the Guardian, WoW players were given their last taste of new TCG loot. Although Reign of Fire was actually the last expansion set, it contained only reissued loot. What a great assortment of loot though! This last trio of new loots is one of the best ever! No items matching the keyword phrase "betrayal of the guardian booster" were found. This could be due to the keyword phrase used, or could mean your server is unable to communicate with Ebays RSS2 Server. No items matching the keyword phrase "ghostly charger" were found. This could be due to the keyword phrase used, or could mean your server is unable to communicate with Ebays RSS2 Server. ...but it's time to turn out the lights. Blizzard has announced that they are retiring the World of WarCraft Trading Card Game, no doubt in an effort to focus more exclusively on the next gen online version of the WoW TCG..."Hearthstone". 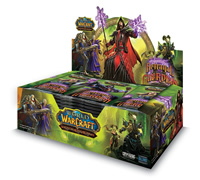 While this may come as a blow to fans of the popular tabletop game, it will have little effect on World of WarCraft players who dabble in the WoW TCG strictly for the loot. All of the existing WoW TCG loot cards will still be redeemable, and it's no secret that Blizzard has been moving towards having future loot be acquired via their Battle.net online store. That's likely where you're going to find all of your new exclusive loot. However, given the similarities between the WoW TCG and Hearthstone, I think it's safe to assume that there may be something in the works in terms of randomly inserted loot items acquired via Hearthstone. Hearthstone allows users to purchase packs with either in-game gold or a Battle.net account, meaning it's still possible that we may see a new digital version of WoW TCG loot, or...Hearthstone WoW loot as it were. There will likely be a lot of overlap in the player base, so it's likely that Blizzard will want to offer some additional incentive for Hearthstone players to want to purchase new packs.